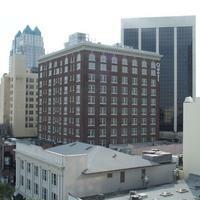 The Angebilt Hotel, located at 37 North Orange Avenue in Downtown Orlando, Florda, in 2002. The building was constructed between 1921 and 1923. Plans to build the hotel were announced in June 1921 and construction cost $1 million. Florida's first registered architect, Murray S. King, designed the building in the twentieth century commercial style, complete with eleven stories and 240 hotel rooms. The Angebilt Hotel opened on March 14, 1923. The original owner was Joseph Fenner Ange, who moved to Orlando in 1913 from Martin County, North Carolina. Two months after the building's opening, Ange sold his interest in the hotel. 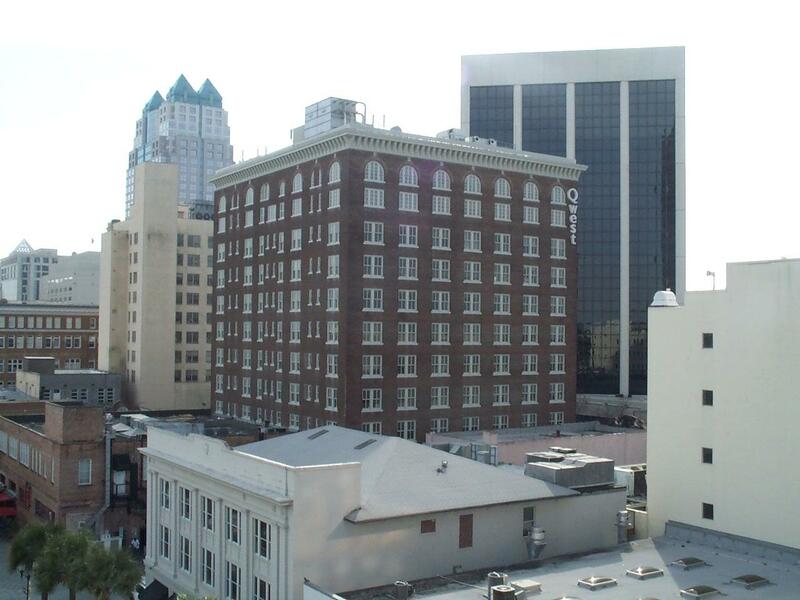 In November 1924, a group of Orlando businessmen purchased the hotel for $1.25 million. Since its opening, the building has housed the Angebilt Hotel, the Bank of Orange and Trust Company, and the offices for two radio stations including Way Down By Orlando (WDBO), which was the first regular radio station in Orlando. As of 2010, it also is occupied by business offices and two restaurants. Original color digital image by Thomas Cook, 2003: Private Collection of Thomas Cook. Johnson, Katherine. "Built to Last." Orlando Magazine (March 2007): 38-40. http://www.execusuitesinc.com/features/angebilt-history/. "WDBO-AM 580." Central Florida Radio. http://www.cflradio.net/580_WDBO_AM_1.htm. Cook, Thomas. “Angebilt Hotel, 2003.” RICHES of Central Florida accessed April 26, 2019, https://richesmi.cah.ucf.edu/omeka/items/show/2075.